We have a brand new challenge for our supporters this year. More information coming soon! Run 40km for 40 years! This year TOG Mind is celebrating 40 years of supporting our community with their mental health and wellbeing. 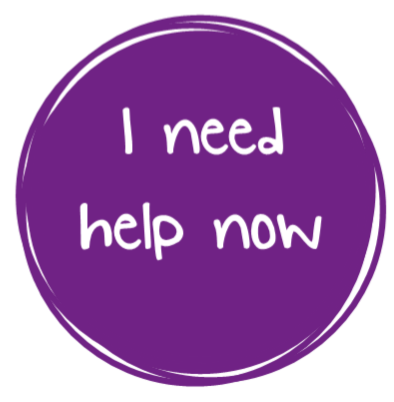 We started out as a mental health and wellbeing organisation on the 27th February 1978 and in 2008 we re-registered as Tameside, Oldham and Glossop Mind 10th April. 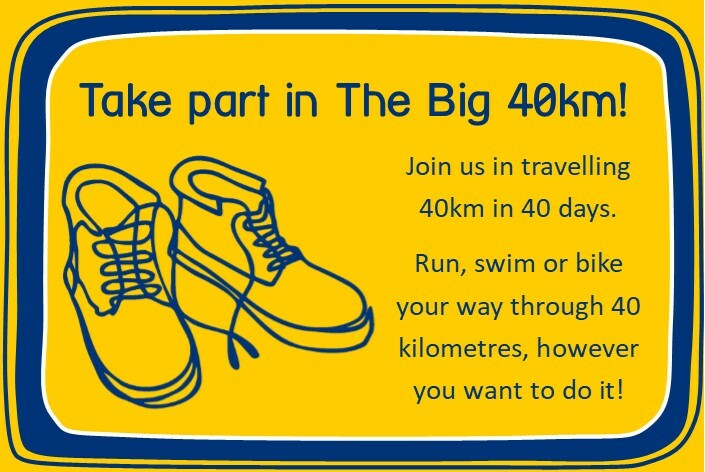 We challenge you to travel 40km to help us celebrate our 40 years. Whether you run, swim, cycle, crawl or hop your 40km, we don’t mind! Be as creative as you like. Run in a team or run on your own. We would love as many people to get involved as possible as sponsors to help raise money for our services! That’s about 25 miles, 380 football pitches, or like walking from Oldham, through Ashton-under-lyne all the way to Glossop and back! This is no easy task and we want as many of you as possible to join us in celebrating our birthday and raising as much money as possible to continue running our services! 40 km not enough? See if you double or triple that number! 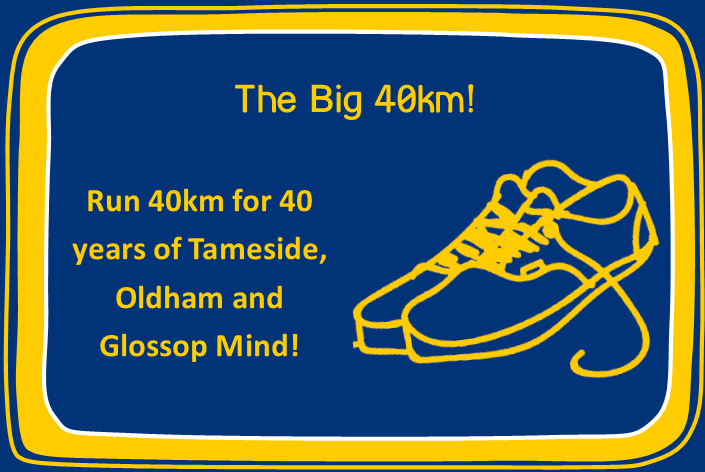 Sign up now to recieve your Big 40 fundraising pack!